When more than one defendant is sued, under joint and several liability each defendant may be required to pay the full amount of the verdict. This policy helps ensure that a malpractice victim will be fully compensated even if one of the defendants has insufficient funds or insurance. New York follows a modified rule of joint and several liability, pursuant to which a defendant is proportionately liable for non-economic (pain and suffering) damages in accord with that defendant's liability for fault, unless the defendant is found to be more than fifty percent at fault in which case that defendant becomes jointly liable for the full award. Defendants may be held jointly and severally liable for economic damages. Under the traditional collateral source rule, payments received by the malpractice victim from third parties such as medical insurance companies would not be considered in the calculation of damages. 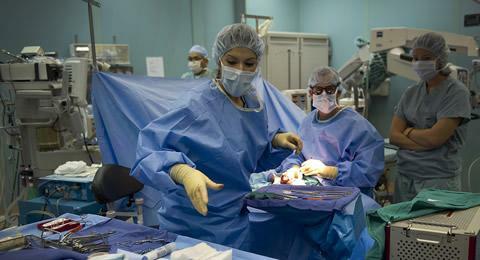 New York has eliminated the collateral source rule for medical malpractice cases. The statute of limitations limits the amount of time a person alleging medical malpractice has to file a lawsuit against health care providers. In New York, the statute of limitations for medical malpractice cases is two years and six months from the date of injury. For a foreign object left inside a patient's body, the cause of action may be commenced within one year of the date that the presence of the object was or reasonably should have been detected. For malpractice claims by minors, the cause of action may be filed within three years of their eighteenth birthday; however, under the exception for minors, the statute of limitations may not be extended by more than ten years. New York limits attorney fees in medical malpractice cases to not more than thirty percent of the first $250,000 recovered, not more than 25% of the second $250,000, not more than twenty percent of the next $500,000, not more than fifteen percent of the next $250,000, and not more than ten percent of any recovery in escess of $1,250,000. If the plaintiff's attorney believes that a greater fee is warranted due to the extraordinary circumstances of the case, the attorney may file an affidvavit and petition with the trial court asking for authorization of a greater fee. Upon a concession of liability, New York permits any defendant in a malpractice case to demand that the plaintiff elect whether to consent to arbitration of damages. Absent unusual circumstances, the outcome of the arbitration is binding on the parties. In every dental, medical or podiatric malpractice case the court must hold a mandatory settlement conference within forty-five days after the filing of the note of issue and certificate of readiness, a document that summarizes the status of the case and discovery and whether the matter is ready to proceed to trial. If a party moves to vacate the note of issue and certificate of readiness, the settlement conference must be held within forty-five days of the denial of the motion. If the parties are represented by counsel, the attorneys who appear must have settlement authority or be accompanied by a person who has authority to act on behalf of their client. The court may order the parties, their representatives, representatives of insurance companies, or any other person who has an interest in any settlement to appear at the settlement conference in person or by telephone. A certificate of merit is a document created by a medical expert, attesting that the expert has reviewed the facts of the case and finds there to be merit to the malpractice plaintiff's claim. In New York, the complaint filed in a medical malpratice action must be accompanied by a certificate, executed by the attorney for the platiniff, declaring that the attorney has reviewed the facts of the case and has consulted with a qualified expert who has concluded based upon the review and consutation that there is a reasonable basis to commence the action, that the attorney was not able to obtain the consultation prior to filing due to the statute of limitations, or that the attorney was unable to obtain an expert who would perform a review despite having made three separate good faith efforts with qualified professionals to obtain review. If a certificate of merit is not filed at the time of the complaint due to the statute of limitations, the certificate must be filed within ninety days of the service of the complaint. New York provides several exceptions to the certificate of merit requirement. No certificate of merit is required if the attorney intends to rely solely on a theory of res ipsa loquitur, the position that the harm would not have occurred in the absence of negligence that occurred within the scope of the defendant's control, with the attorney being required to instead file a certificate stating that the case relies solely on that doctrine. No certificate of merit is required from a malpractice plaintiff who is not represented by an attorney. In the alternative to filing a certificate of merit, a plaintiff's attorney may file a timely, statutorily compliant offer to make available for oral deposition all expert witnesses that the plaintiff intends to call at trial.